Biofuel cell research has shown that candy really could power prosthetics. 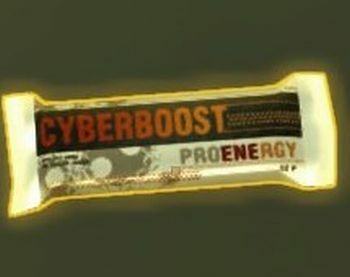 Strange as it may seem, science has given credence to the candy addiction faced by protagonist Adam Jensen in Deus Ex: Human Revolution. Research into biofuel cells (tiny little batteries which use energy stored in natural organisms to create electricity) has now hinted that all you might need to power a decent body-battery is a healthy dose of sweet, sweet sugar. Led by Dr. Serge Cosnier, a team of scientists at the Joseph Fourier University in Grenoble have created a working biofuel cell which uses the oxygen and glucose found within the bloodstream to create electricity by breaking down the glucose molecules. When implanted into a rat, the cell perfectly ran for 40 days; there were no major fluctuations in power output, and it didn't affect either the physiology or behavior of the animal. The implications of this technology are huge. "A battery consumes the energy stored in it, and when it's finished, it's finished," Dr. Cosnier explained to BBC. "A biofuel cell in theory can work without limits because it consumes substances that come from physiological fluids, and are constantly being replenished." Biofuel cells could also be useful without the human body. Sony, for instance, has expressed an interest in biofuel cell research for its phones and laptops. There's also potential for applications during blackouts, or when people find themselves stranded without electricity. "If you were in a country without electricity, and needed to re-charge a bio fuel cell, all you would have to do is add sugar and water," explained Cosnier. Right now, this news will be most exciting for those whose lives are affected by pacemakers, which require invasive battery-replacement surgery once every five years or so, and other electrical prosthetics. But further down the line? Who knows. Although being able to launch myself from my bedroom window each morning only to land in a gracefall ball of Icarus-inspired light has been a pet fantasy of mine ever since I started playing Human Revolution, I am more than happy to settle for the prospect of charging my phone using nothing more than water and sugar.